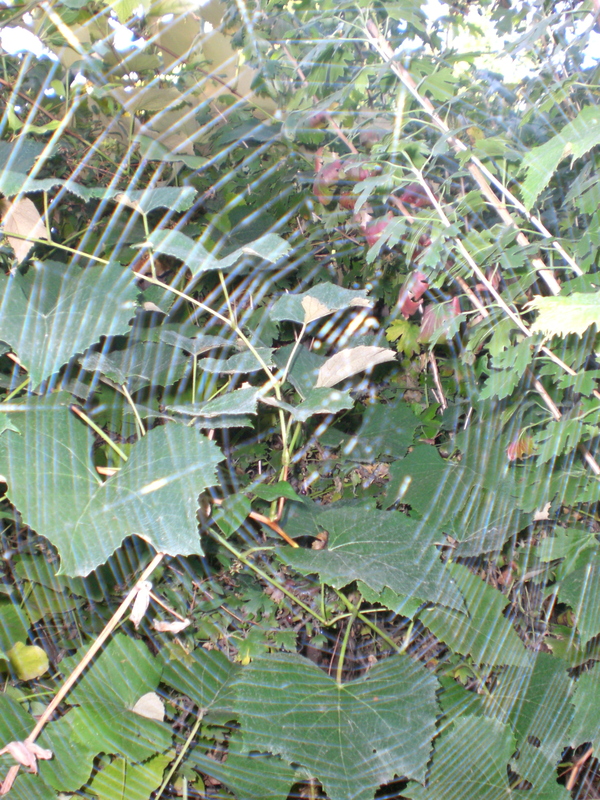 A dusty spider web, waiting for rain. I recently learned about Liebig’s law,( http://thearchdruidreport.blogspot.com/ ) an ecological principal I wasn’t familiar with before. I always blame my lack of scientific knowledge on the fact that my junior high science teachers were ski coaches, and then I had the football coach for biology in 10th grade. By the time I got Mr. Marta in my junior year, I was already on the road to being an English major. I’ve been trying to make up for it in recent years. Anyway, Liebig’s law is basically that whatever resource that is necessary for an organismto survive is in the shortest supply is what puts an upper limit on the carrying capacity of an environment for that organism. 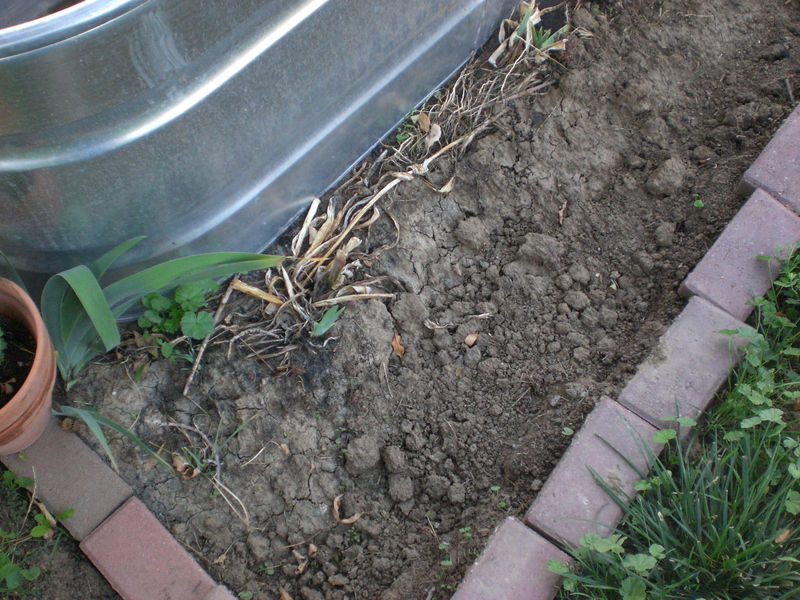 For worms, it might be organic matter, for tomatoes calcium, humans on the Planet Express Ship, oxygen… in my garden, in Northern Colorado, the limiting factor is water. I noticed today that there are cracks in the soil of my flagstone path. The sand that separates the pavers is falling thru to the center of the earth. There are probably cracks in the beds too, but the mulch hides them. I have run the drip system in the beds, and the sprinkler in the lawn, but I don’t water paths, so the cracks will get bigger until it rains. We had a misty day last Saturday, enough to make it cold and unpleasant for the boy’s soccer game, but it didn’t close up the cracks in the soil. It has not rained here for almost a month- we’ve had some scattered showers, but the soil is cracking, and the woods are burning. The fire in Boulder has made national news, my great uncle has had to evacuate his house. There was another fire near us, DH took the kids up to take pictures for the paper (link). A big pile of hay is on fire in Fort Collins, with sunny and warm in the forecast for the next week. Mulch and compost help, and using native plants, and the Denver water board has a ton of information on dry climate planning and planting ( www.denverwater.org/Conservation/Xeriscape ) I am experimenting with a sunken bed, the opposite of raised, obviously. I have dug out about 4 inches of soil next to my horse tank, and I’m adding some compost when I put in tulips and irises. I’ll let you know how it goes.